Follow the link here, scroll to the bottom of the page and request a free trial. What have we learned in the first day of attendance the Sitecore Symposium. Well first of all the main and the most interesting announcement is the Sitecore Experience Platform 9. The next great thing was related to the xConnect. Now you will be able to import any data into Sitecore. Of Course the Headless, something that I was very excited about. But unfortunately it supports react.js. It should support all the other frameworks soon. But the demo with react.js was simply great. And of course there was information about the Agile and development and plugin approach. Sitecore Experience Cloud was also discussed. 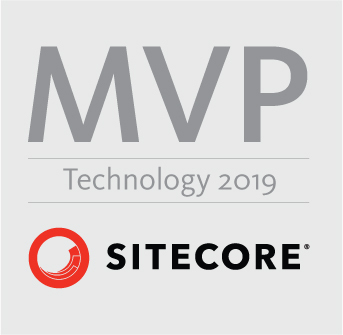 How about Sitecore and .NET core. It is all about the freedom. I would like to say that overall I am very excited about Sitecore 9.0. It is already available on the (https://dev.sitecore.net/). Go get your copy. If you have any questions, do not hesitate to ask or reach out to me on slack @tmam and twitter @tmamedbekov. Here is my cheat-sheet for all the html helper methods that I use all the time, and there are some that I find every day, and I just get excited about what Sitecore can give us. This will list the Children of the Current Item you are in. Now on the right side you build out the structure of the Sitecore Template. You can have multiple sections, multiple names and type according to the design requirements. Enjoy!!! If you have any question do not hesitate to comment and ask questions! So then you will create a News item based on the News Template you just created. So this agent will execute every minute, and search for the Expiration Date within the items, that are in the News (Source Folder) and move the expired files to the News Archive (Destination folder). If you have any questions do not hesitate to ask. Note that this blog post has no intention to claim anybodies work as my own. This blog post is for informative purposes only.